Winter Coats & Winter Camping Gear: Northbound Supply Co. When visiting Eau Claire in the winter, one of the first things you&apos;ll want is a nice, warm coat. A great place to buy one is Northbound Supply Co. Make sure to get one that is waterproof, because not only are our winters cold, they are also wet. 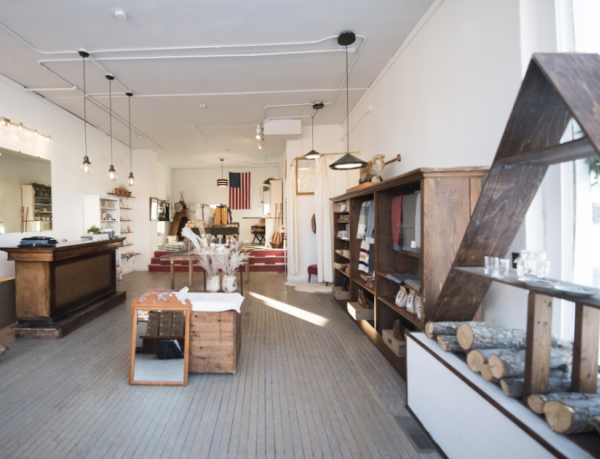 While at Northbound Supply Co., you can also get other gear for winter camping if that&apos;s something you want to do while visiting. They have camping mugs, backpacks and much more. It&apos;s a great place for all of your outdoorsy needs. 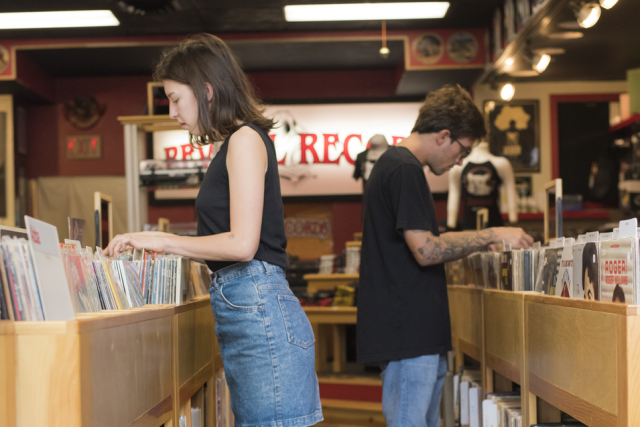 Plus, you can grab a coffee at their coffee bar while you&apos;re browsing. You&apos;ll also want a thermos to carry your hot coffee or cocoa around in the cold months. For that winter essential, hop on over to The Local Store. They have some great ones that also make perfect keepsakes. The Local Store also has locally produced comfort food. 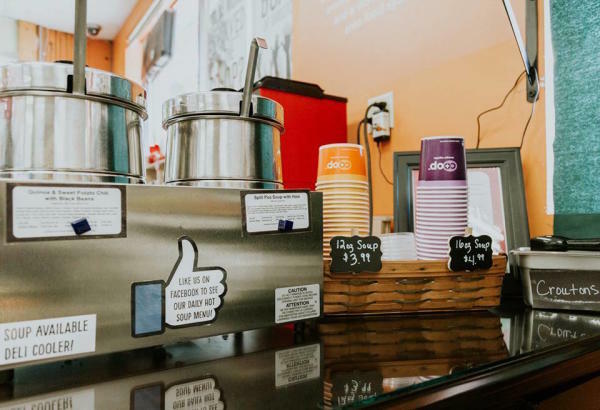 So if you&apos;re in need of some cocoa mix or coffee, you can stock up when you visit. Another great thing to have in the winter is a cozy, scented candle, which you can get at The Local Store. 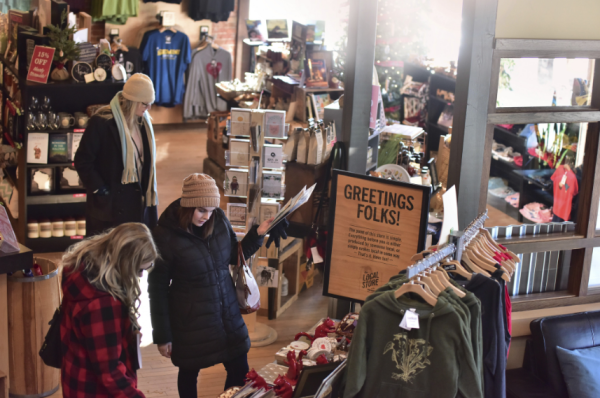 And if you need a hooded sweatshirt to get you through your winter Eau Claire trip, The Local Store has those too, featuring local places and famous things around the city. Winter is a great time to be inside and cuddled up next to a cozy fire while enjoying some comfort food. Just Local Food is a great place to get your favorite comfort foods while supporting local farmers and suppliers. They have locally-sourced meat, dairy, produce, tea, coffee, snacks and spirits. So whether you want anything from local craft beer to caramel corn, Just Local Food should be on your list of placs to visit during Eau Claire&apos;s winter months. You&apos;ll definitely want a toasty blanket when the mercury starts to drop. You can buy them at multiple locations in the area, but my recommendation is to get one at Red&apos;s Mercantile. You can either get a throw blanket or a big wool one, whatever suits you. While you&apos;re there, it might not be a bad idea to get a scarf to protect your face and neck on the subzero days as well. You&apos;ll especially want a scarf if part of your Eau Claire itinerary involves crossing the university footbridge and getting your bridge face on. Look up #BridgeFace on Twitter and you&apos;ll see from the locals exactly what I mean. While in Eau Claire, even when it&apos;s winter, you will want to check out our beautiful parks and trails. For that, you&apos;re going to need some warm socks, cleats for your shoes and reflective gear. 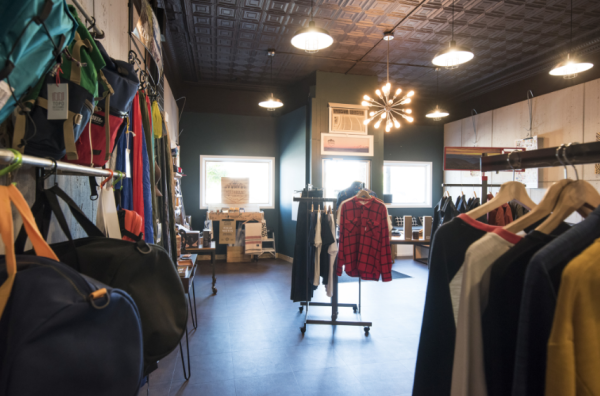 Blue Ox Running is the perfect place to go for your winter outdoor exercise gear. First, get yourself a pair of warm athletic socks. You can get them in wool, mohair and other varieties. One of the things you&apos;ll also want to prepare yourself for is walking/running/hiking on ice. Be sure to get some cleats for your shoes or boots. Finally, in winter it gets dark fairly quickly, so it would be wise to invest in a reflective vest or jacket. Make yourself visible to stay safe out there. During your winter adventures in Eau Claire, make sure to stay warm and snap lots of pics and share them with us using #CaptureEC.